On our way up to hike the upper South Fork skokomish trail, we apparently missed our turn off that was supposed to be marked… and fell upon this short but sweet little hike on accident. The trail is super easy and is only .8 miles round trip. 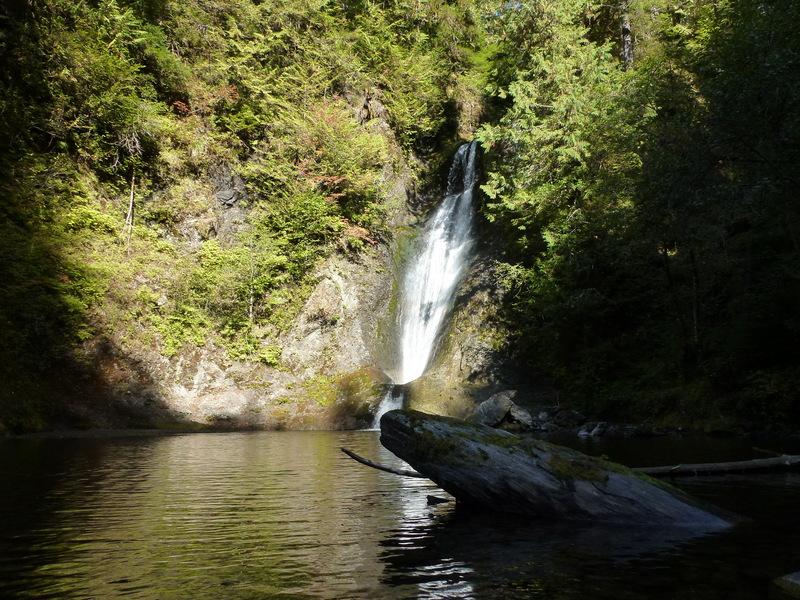 Since it was so late in the season the water level was low and we were able to access the waterfall from below. This will be a great spot for next summer when the weather is blazing hot and the kids and I can return with picnic lunches and spend the day splashing in the water and enjoy another hidden piece of the Olympic Pennisula.